Home » Gardening » The Fine Balance Of Watering Your Garden..
As most newbie gardeners, I am always trying to get the “right” amount of water, erroring on the caution side. Our plants especially the tomatoes are just popping out everywhere. So I’ve been really worried about over irrigating during the this period which may reduce fruit quality. Ample water during fruit ripening reduces the sugar content and adversely affects the flavor of such crops as tomatoes, sweet corn and melons. Lack of moisture at ripening does not significantly reduce your yield of most fruit crops, irrigate at this time with extreme caution. For best production, most gardens require about 1 inch of rain or irrigation per week during the growing season, appling enough water to wet the soil to a depth of at least 6 inches. Light, sandy soils usually need to be watered more often than heavier, dark soils. 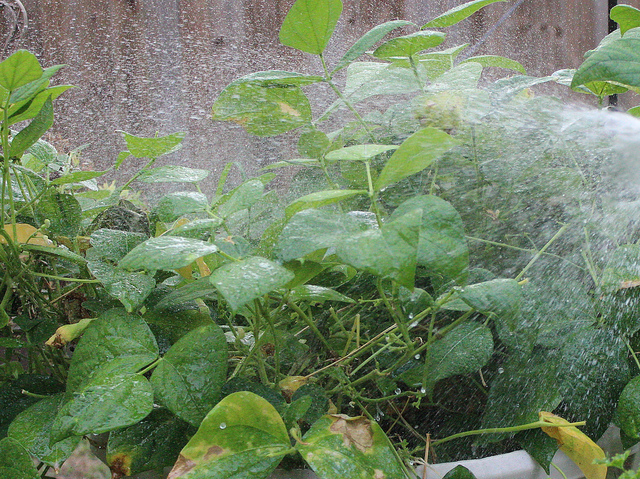 If you use sprinklers, water in the morning so plant leaves have time to dry before the night. 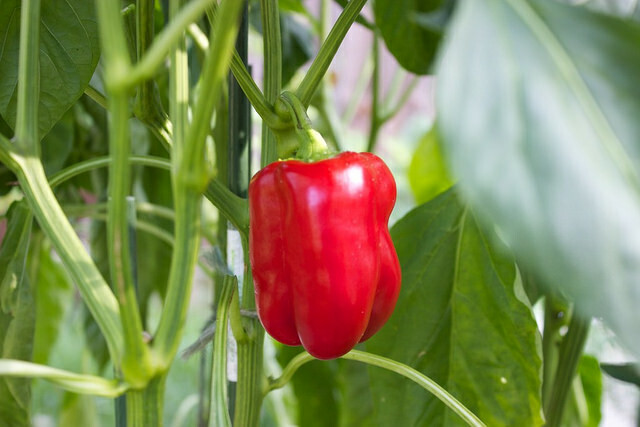 This helps prevent diseases, since humidity and cool temperatures encourage them on most vegetable crops. A drip irrigation system is best because it keeps water off the leaves and waters efficently. It is also ideal for use with mulches. In sandy loam soils, broccoli, cabbage, celery, sweet corn, lettuce, potatoes and radishes have most of their roots in the top 6 to 12 inches of soil (even though some roots go down 2 feet) and require frequent irrigation of about 3/4 to 1 inch of water. Vegetables which have most of their root systems in the top 18 inches of soil including beans, beets, carrots, cucumbers, peppers and summer squash. These vegetables withdraw water from the top foot of soil as they approach maturity and can profit from 1 to 2 inches of water per irrigation. A few vegetables, including tomatoes, cantaloupe, watermelon and okra, root deeper. As these plants grow they do best with irrigations of up to 2 inches of water. For fruit crops, the most critical growth stage regarding water deficit is at flowering and fruit development. Lack of water at this stage may cause decay of flowers or young fruit, resulting in a smaller harvest. The longer the flowering period, the less sensitive a species is to lack of moisture. For example, the drought resistance of beans during flowering and early pod formation is the result of the lengthy flowering period — 30 to 35 days with most varieties. Slight deficits during part of this period can be partially compensated for by subsequent fruit growth when the water supply is better. More determinate crops such as corn or processing tomatoes are highly sensitive to drought during the flowering period. To summerize: Water your crops, or you will make less food. Simple right?